Welcome to the EVE University Class Library. All of the classes in the archive were originally put forth by instructors, and the actual recordings were made by volunteers. Without those volunteers the Class Library would not be possible. Volunteers are people like you! Next time you're in a class, consider recording it for the library, and give something back to the community! If you are interested in teaching a class, find out about Joining The Faculty, or for a list of the syllabi for these classes, visit the Syllabus Library. Please check this wiki guide or visit this forum thread for detailed info on how to record, edit, encode and upload your files. Please visit this forum thread to recommend a recording be updated if information relevant to the course topic is significantly outdated, due to changes in game mechanics, equipment, content, E-uni policies and procedures, OR the recording quality is extemely poor. New to EVE University? Please listen to the recordings in the About EVE University section, starting with the Introduction to EVE University class, followed by Morning Maniac's (founder and former CEO of EVE University) EVE University - Past, Present, and Future lecture. If you are yet to finish the initial tutorials, or would like a refresher, Seamus's How to survive eve online series will be useful. Following the lectures mentioned above, it is recommended that new capsuleers continue with lectures on Core Game Mechanics to form a solid foundation. The Class Level: indicator is a relative measure of how advanced the class is; lectures on core mechanics are relatively simple with class levels varying between 1 to 3, while more advanced lectures such as Nullsec Alliance Politics or Wormhole PvP tactics may be more suitable for capsuleers with some experience. Classes called "The Fundamentals of x" are designed to give you a quick introduction to the topic where as 101 classes will give you all the basics in greater depth. Audio from the YouTube Videos can be downloaded for offline listening using services such as ListenToYouTube. Files hosted at EVE University Server can be streamed or downloaded directly. Other hosting sites might require you to wait a short while before you download. ‎ What the University can do for you, what you can do for the University. How to get involved. What to expect as a student. ‎ How to tell the real EVE University from a fake. ‎ Origins of EVE University. The reason for the Uni's neutral stance. Uni relationships with other corporations. Origins and Fate of The Big Blue. History of Fleet Operations. Philosophy of the University. ‎ The University Low-Sec Camp. Describes the requirements to join, how to get to the camp, and a brief overview of what to expect in Low-Sec. ‎ The University's Amarr Mining Camp. Describes the requirements to join, how to find out where the camp is located as well as the history and the future of the camp. ‎ The fundamentals of both Null sec and the Null-Sec campus. ‎ A class on the Null-Sec campus. ‎ Learn all about our Wormhole Campus, and how to jump on in. ‎ So you want to know how YOU can help the university? ‎ How to use the EVE University wiki, including logging in, navigating, searching, creating your user page, creating and editing standard pages, and so forth. ‎ So, you want to give a class? Good for you - EVE University relies on people giving up their time to share knowledge on subjects they understand to new players. So, best be prepared for it, right? ‎ A video supplement to the EVE University Overview Guide. Overview Guide - This is the wiki article that the video supplements. ‎ This comprehensive video series by Seamus Donohue, EVE University Professor, covers everything that a new pilot in EVE needs to know to survive their entry into New Eden - highly recommended to all rookie capsuleers. These Video's take you step by step through the introductory tutorial missions, all the while giving plenty helpful tips you'll use throughout your eve career. ‎ An overview of the different types of regions in EVE and what it's like to live in each, including Nullsec, Lowsec, and Highsec (empires space). A beginner's guide to understanding some of your options in New Eden, lightly peppered with details even more advanced players can appreciate. ‎ This is a detailed walkthrough of the Sisters of EVE Level 1 Epic Arc, "The Blood-Stained Stars". Video descriptions in YouTube contain timestamp links for viewers who wish to jump directly to a particular mission. Unlike "How To Survive EVE Online", time spent on explaining general tips are kept to a minimum except at the start and in missions where the tip is particularly important to the mission. ‎ Every Week Seamus Donohue answers any questions you may have about how to play eve, he is a walking talking encyclopedia. To answer your first question, to join the mailing list: Open up your mail window in eve. Now click the 'add mailing list' button down in the bottom left hand side of the window. Type in Classes.E-UNI and press enter, voila, you are ready to go. ‎ An explanation of what is meant by "support skills" in EVE Online and why it's a bad idea to get into larger ship types prematurely. ‎ Examination of the EVE Overview and customization through its settings as well as a discussion of the E-UNI Overview setup. Overview Guide - This wiki article covers the Overview and specifically identifies the E-UNI setup. ‎ Travelling, movement mechanics, bookmarking, dealing with gatecamps, travel fits. ‎ The attributes of your ship (e.g speed, CPU, scan resolution...), how to change them, and what can be done TO you. Capacitor Management 101 - Cap is Life! ‎ In EVE, your capacitor is life! This class explains how ship capacitors work, how you can improve their performance, and how you can become their master - instead of the other way around. ‎ Learn about aggression mechanics, timers, and how they affect you in space. Tips for dealing with aggression in both hi-sec and lo-sec. ‎ Defensive and offensive use of the directional scanner. ‎ The directional scanner (not to be confused with probe-based scanning) is a powerful, but badly-documented, tool. In PvP situations you can use it to detect and investigate incoming enemies or to get the jump on potential targets. In some PvE situations it is still a potential tool to use to protect yourself, particularly in w-space. ‎ Overheating: the performance boosts you can expect, skills required, how to manage heat damage. Google Docs - accompanying slideshow referred to during class. ‎ The Basics of Electronic Warfare. Modules and fittings. ‎ Attributes, Remaps, and the 2011 Holiday gift choice from CCP. ‎ The methods for improving character attributes: neural remapping, implants and booster drugs, as well as an overview for using clones effectively. ‎ Boosters, what they are, what they do, and how to use them effectively. How to smuggle them. Techniques you can use to smuggle contraband. Production of boosters and what you'll need to get started. ‎ A high-level, piece by piece overview of what goes into assembling a ship fitting. ‎ A class on good fits vs. bad fits for various ships and tactics followed by students linking their fits and Seluna providing improvements. ‎ Stacking Penalties. How they work, where they apply, how they interact with other stats. ‎ Explains how module bonuses are applied and how stacking penalities are calculated. Includes faction mods. 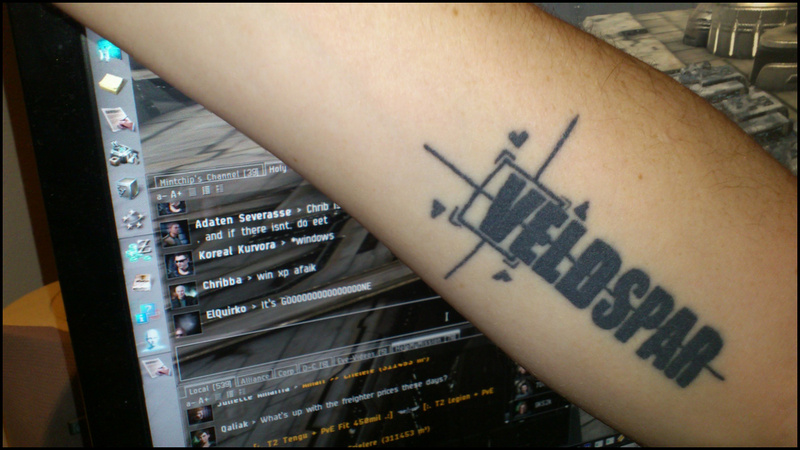 ‎ An explanation of Meta Levels in EVE Online. ‎ How to fly your shiny new space ship, "Always going forward, still can't find reverse." ‎ An introduction to propulsion modules (afterburners and microwarpdrives) in EVE Online. ‎ An explanation of contiguous High Security space and it's chokepoints in EVE Online. ‎ Discussion about how Eve calculates your max speed, turning, orbiting and such. Max speed, acceleration, skills and modules that affect speed. ‎ Using the in-game map for quick, easy to access intel about what is going on "right now", as well as over the last day or so. How to use the map to plan current operations, or spot long-term trends that you can exploit in other ways. ‎ How to make bookmarks, and use them for effective navigation. New players should be aware that as of Crucible Expansion, February 2012, these are now called "Locations" instead of "Bookmarks". ‎ In this class, we will be discussing how to vastly minimize your chances of becoming a suicide victim. Whether it will be hauling or mining, there is information that you will find useful. Otard is an experienced Hulk high sec ganker. Missing the first few seconds. Connection lost in the middle of the Q&A after the lecture. ‎ Advanced fundamentals of maneuvering theory is covered. Ever wonder why that guy can fly rings around you and outrun you at will? Find out in this class. ‎ Armor tanking Strategies, analysis, optimizing resistances, recommended skills, Tech 2 tanks. Examination of buffer and armour tank setups. ‎ Constructing and implementing shield tanks. ‎ This class will tell you how to best use the different weapon systems and ship types to blow things up efficiently. ‎ A new course on gunnery as well as covering additional topics including the math behind gunnery. ‎ This is an Advanced Class and thus a basic level of gunnery knowledge is assumed. It is recommended (but not strictly required) that the student have attended or listened to a recording of the "Gunnery 101" class. This class is significant shorter than previous iterations, archived versions may have a greater quantity of (possibly dated) information. ‎ In this class, you'll learn all about missiles. ‎ Drones can be a powerful part of any capsuleer's inventory, but only if the pilot knows how to use them effectively. This class provides general information on combat drones. ‎ Building upon the fundamentals in Drones 101, this follow-up class explores advanced drones and related topics. Specifically, the course explores the capabilities of specialized drones for extended electronic warfare, combat utility, and logistics, and describes techniques for using these advanced drones effectively. ‎ A class on making isk when the University is under a war declaration (wardec'd). ‎ A guide to becoming a fat cat. Not all the methods described in this lecture are, *ahem*, savory. ‎ Origins and decline of the superalliances. Early Eve Corporations and their accomplishments. History of Alliance Civil wars. Origins of Band of Brothers. Discussion of early PVP fleet tactics. ‎ EVE is rich with the intricate history of New Eden, forged by both capsuleers and non-capsuleers. Throughout New Eden, bits and pieces of this story can be found throughout the cluster. This lecture is meant to introduce you to some of the more interesting historical sites that can be found in New Eden. ‎ Eve University is pleased to host a very special event - featuring two CCP Quality Assurance engineers! This class will cover some basics about quality assurance practices for EVE, and how players can help CCP to fix bugs and improve the game.This class will include a general overview of software bugs, followed by presentations by guest speakers CCP Oneiromancer and CCP Konflikt on CCP Quality Assurance and the role of Bug Hunters in identifying and eliminating defects, respectively. ‎ An interview and Q&A session with Sveinn J. Kjarval, better known as CCP Guard, the celebrated Community Developer for EVE Online, and emissary for the CCP Corporation in New Eden. This interview explores what working with the EVE community is like, how it has changed, and what the future may hold for EVE Online players. ‎ An interview with Eyjolfur “Eyjo” Guðmundsson, better known as CCP Dr.EyjoG, the official on-staff economist for CCP Games. He monitors and analyzes critical trends and directions in the New Eden economy. He is the "Alan Greenspan of EVE Online". This interview explores the nature of New Eden's economy - how it's changed and developed over the years, and what players need to know about it to succeed in EVE Online. Apologies for less than ideal audio for the first third of the discussion - it improves significantly after that. ‎ An interview and Q&A session with one of EVE Online's most interesting personalities: Sindel Pellion - a blogger, musician, founder of the Angel Project for new pilots, and a dedicated Gallente pilot in Sniggerdly [SNIGG]. ‎ An interview with Chribba, a household name in EVE and collector of Veldspar, as well as operator of various EVE services for the community, such as EVE-Files, EVE Search and many others. ‎ An interview with Ian Chisholm, the creator of the popular Clear Skies machinima movies, based on EVE Online. ‎ Q&A with Seleene, CSM7 chairman, about the evolving nature of the Council of Stellar Management, its role with CCP, the successes and weaknesses of CSM7, and some general discussion about how to improve various aspects of EVE Online. Moderated by Neville Smit. ‎ An interview and Q&A session with Ali Aras, CSM8 representative and candidate for CSM9, co-host of the Declarations of War podcast, friend of new EVE Online players, member of Noir., stealth bomber pilot, occasional blogger and host of the Space Hangout EVE Online chats. ‎ An interview and Q&A session with Mangala Solaris, leader of the Red vs. Blue (RvB) alliance, member of the current Council of Stellar Management (CSM), candidate for CSM9, and occasional supplier of good wardec fun to E-UNI. ‎ Sard Caid is CEO of Gunpoint Diplomacy, a small pirate corporation located in low-sec. ‎ A discussion with three players who all left the UNI: what to expect when you leave, what life in EVE is like outside of the UNI, and some general advice about how and when to move on in New Eden. ‎ All about Fanfest - the annual gathering of EVE Online players - what it is, what can you expect, and why you should participate. ‎ A roundtable discussion about Fanfest 2012, by EVE University members who attended, moderated by Neville Smit. On-going ship balancing (since Inferno of April 2012) and the constantly changing meta (ie the typical uses and doctrines within EVE) means that many of these recordings are outdated. Please update these when the classes are given. ‎ An introductory explanation of the different racial ships and weapons in EVE Online. ‎ Class overview: What are the many differences between Races in Eve Online and why are they important? What are the major ship types out there and which one is best suited for what? Playstyles and shiptypes. What should I train into and when? One race to the end or cross training? ‎ Covering the Amarr race and philosophy. General strengths and weaknesses of the Amarr. Essential piloting skills and recommended fittings. Covers Frigates, Destroyers, Cruisers, Battlecruisers, Battleships. ‎ Amarr Tech 2, Tech 3 and capital ships. Part 2 of Paledan's 101/102 combined class. ‎ Covering the Caldari race and the use of their spacecraft. General strengths and weaknesses of the Caldari. General Missile information. Covers Frigates, Destroyers, Cruisers, Battlecruisers, Battleships. Some Tech 2 information. ‎ A discussion of Caldari T2 ships and their use in PvP and PvE. Includes info on Caldari T3 Ships. ‎ This class covers a basics of Gallente tech 1 ships, from starter ship to battleship, and including industrials, describing the essential strengths and weaknesses of each. It also includes a summary of essential skills required to fly Gallente ships effectively. ‎ Gallente Tech II and Tech III ships overview. Gallente-based cross-trained pirate ships. Q&A. ‎ Discussion of Gallente ships and their PvE roles. Mission running strategies with Gallente ships. Preparation and Fittings, Gallente tanks. Note: The audio quality of this recording is below average. ‎ This class is about ship fittings, tactics, and styles for all Minmatar ships in both PVE and PVP. ‎ Brief discussion of T2 projectile ammo, T2 resists and each T2 Minmatar ship. ‎ This class covers the basics of ship fittings, tactics, and the merits of Battlecruisers in both PVE and PVP. Note: The racial BattleCruiser traits mentioned (2nd half of the class) are very outdated. A new recording is needed. ‎ With EVE Online's Apocrypha expansion came an entire new class of ship, the Strategic Cruiser. Rather than simply improving existing ships, like CCP did with the step from T1 to T2 ships. As such Strategic Cruisers are modular ships (reverse engineered from ancient Sleeper and Talocan components), that allow the pilot to design the ship to his or her wishes, and the mission at hand. ‎ Being invisible happens every time you jump through a stargate (or a wormhole). You can do it actively yourself by training for, buying and fitting a cloaking device. This class discusses cloaking modules, skill requirements and cloaking game mechanics. ‎ Stealth Bombers: role, fitting, and tactics. ‎ CSMX member and Bomber Pilot extraordinnaire Chance Ravinne presents basics concept on how to fly your stealth bombers. ‎ The interceptor class of ships. Interceptors (often called "inties" or "'ceptors") are a class of Tech 2 frigate. They are Eve's fastest ships, and they have attributes and bonuses which make them supremely effective tacklers, or dangerous high-speed damage-dealers. ‎ This lecture is an advanced course study for advanced University pilots. Designed for future options as a combat command ship pilot, this course will cover the basic premise behind skills, modules, and command ships, including general fitting guidelines and effective uses, as well as some discussion on equivalencies in other ships. Specific skills requirements, as well as the abilities of the hulls, for these ships have undergone extensive changes. See the linked, and updated, syllabus for details. If this class is offered again, please record and submit it here. ‎ The basics of owning and operating a Carrier or Dreadnought - with bonus content from Chitsa Jason on Capital Ships in W-space. ‎ This class provides an overview of carriers - the strengths and weaknesses of the four racial versions, how to train for them, and how to fly them successfully. ‎ Guest lecture from rich dk from Razor Alliance, followed by a unique UNI field trip! rich explains all about Supercarriers and Titans: what they can do, what they can't do and everything in between. ‎ An introductory explanation of missions and standings and what a player in EVE Online needs to do to get access to high-paying missions. ‎ This class covers missioning in general and how to do it profitably, including strategies on how ot get your standings with NPCs high enough to have access to such profitable missions. ‎ This class will describe the basics of effective mission running, and how missions can play an important role in your long-term goals and objectives. Vitally important to your time in the Uni will be the discussion of PVE tactics while under wardec, and the many sensible decisions you can make to minimize your non-consensual PVP risks, and have a more profitable experience. ‎ This class will describe the basics of effective group mission running, in spider and locust styles. Agent missions, Epic Arcs, Burner Missions, and combat sites in k-space and w-space will be discussed. ‎ What standings are used for. Types of standings. How to look up your standings. How to set standings towards others. Faction standings interactions. How to increase agent/corp standings. How to increase faction standings. ‎ A discussion on the various kinds of timers, how they work, what triggers them, and what they do. Additional dicussion is on how targets become engageable or not, and what the consequences of different kinds of criminal actions are. ‎ An introductory explanation of Incursions in EVE Online. ‎ This class describes Incursions: what the are, how you can participate in them, how you can earn ISK from them, and fitting your ship properly. The accompanying slides for Kataki's lecture can be found here. ‎ How standard uni fleets function; using insurance and medical clones; killmails, lossmails and the killboard; basic characteristics of small gang PvP and solo PvP; who unistas are allowed to shoot and where we're allowed to shoot them; different kinds of pirate; highsec, lowsec, nullsec and w-space as PvP environments. The Q&A afterwards includes a discussion of PvP bookmarks. ‎ Teadaze is an instructor for Agony Unleashed's PvP courses, and is an alliance tournament commentator. Fitting, Overheating, Transversal/Tracking. An edited, shorter version of the PVP Basics: Tech I Ships and Tactics. There will be overlap in content. ‎ This guest lecture about solo PvP is given by a highly-regarded PvP pilot, who flies in the very well respected PvP corp Agony Unleashed. ‎ Techniques to recognize, avoid, and counter: kites, disengages, and baits. Azual Skoll is an experienced small gang and solo PVPer, and author of The Altruist. This class covers how to find, choose, and initiate PVP engagements on your terms. ‎ How war declarations are issued. Where to find them. What to do when the Uni prepares for war. How to contribute in PvP. Using the Killboard. EVE University reimbursement policies. ‎ Role of Fleets in EVE, why working in fleets is superior to pilots flying solo, how to set up a fleet, how leadership skills work, what they do and why they don't matter! ‎ Fleets 102 is designed to go over EVE University fleet formation and function. Proper formation etiquette is explained as well as the basic fleet commands one can expect in a uni fleet. ‎ A class explaining fleet doctrines, what they are and why they are useful. ‎ Fleet Broadcasts in EVE Online, with particular attention on "Need Armor" and "Need Shields". ‎ Guest lecturer Krutoj of Legion of xXDEATHXx discusses how to conduct an effective fleet roaming operation, and answers students' questions. ‎ The basics of operating in a large 'combined arms' fleet as typically fielded by the University. Taught by Guillome Renard, former leader of ILN Battlegroup 3. Covers the background of the combined arms theory in real life and how it relates to combat in EVE Online. ‎ Warfare links can greatly augment the capabilities of a fleet, aid the "solo" player and have many other creative applications. If you're interested the mechanics behind how they work, what they can do, what skills you can train to help your FC and how to organize a fleet's command structure yourself, this lecture is for you! Class slides for this class are available here. ‎ Tactics and advice for running an effective fleet operation. ‎ A brief lecture and discussion on understanding targets and the role of the fleet commander in selecting the appropriate ones to destabilize the enemy force as quickly as possible, or to achieve another objective. Google Docs Presentation - referenced during the lecture. ‎ Open Q&A about anything related to FCing with several experienced FCs. ‎ Special covert warfare guest course. Practical class covering the use of Force Recons, Stealth Bombers, and Black Ops ships in specialized covert fleets. ‎ The essential elements and techniques of tackling - this is recorded UNI class, captured in video. ‎ This is the beginning tackling class, covering all aspects of tackling from the basic to the "how not to die instantly". This class will be a tutorial style with an open Q&A at the end of the tutorial. ‎ An advanced class for those who want to take their tackling to the next level. ‎ Don't be a "hero tackle", learn how to survive on grid in various engagements and avoid potential dangers in this advanced class on tackling/scouting. ‎ This course covers all aspects of ECM, the Caldari Electronic Warfare method of choice. It covers ship fittings, modules, skills, and tactics for the six primary Caldari ECM-based ships in Eve (the Widow, due to it's non-ECM primary role, is not covered in this course). ‎ This class will provide a good basic overview for pilots who have no prior knowledge in electronic warfare. This class will give students an appreciation of ewar, even if they intend to pursue other career paths. ‎ Second segment of the EWAR series, focused on ship fittings suited for EWAR. ‎ The third segment of the EWAR series will teach you how to successfully pilot an EWAR ship. ‎ Segment no. four of the EWAR series covers some modules that are useful to counter EWAR effects. ‎ This class will teach the basics to understand, use, counter and lead tracking disruption and their ships. ‎ Fittings and strategies for Remote Armor Repair. ‎ Fittings and strategies for Remote Shield Repair. ‎ Advantages and Disadvantages of each drone size. Bandwidth explained. Drones vs ships. Drone Upgrades. Use in combat. Logistic drone use. Tech 2 drone variants. ‎ Scouting, ships and tactics, and Intel, how to report and what to report. ‎ This class explains what combat probing is and how it differs from exploration. It will talk about the needed equipment, ships, skills and the different techniques that can be used. ‎ What is factional warfare? Why should I consider joining? Available rewards and consequences. Requirements to join. Things to consider before joining. Joining and quitting Factional Warfare. ‎ Militia chat, Battlefield Intelligence Page, Star Map usage. Occupancy and Plexing. FW Missions. Pirates and pirating in FW. ‎ Backstory, framework, impact life in highsec, enemy Navy, complexes, missioning, corporations, spais, metagaming, "winning". Focus on Minmatar/Amarr. Recording starts about a minute into the lecture. ‎ If 0.0 sounds scary, that's because it is! This class covers fundamentals of life in null security (0.0) space. ‎ This lecture covers basics of structured fleet preparation, composition and deployment of a Strategic Fleet for a planned engagement. ‎ Informal lectures on life in Nullsec from a number of guest faculty over the years. ‎ The Lecture is aimed at pilots who want to understand the historic development of the EVE meta-game (or simply want to know a bit of eve history), to help them understand the reasons for future game changes and help predict what the enemy will field tomorrow - rather than yesterday. The lecture is mainly focused on non-highsec warfare. ‎ Impromptu question and answer session regarding lowsec and 0.0 life. ‎ An interview and Q&A session with Azual Skoll, fearsome PvP combat specialist, former leader of Agony Unleashed, and author of the definitive EVE PvP blog, The Altruist. One of EVE's most well-known personalities, Azual is an absolute expert at many aspects of the game. ‎ Alekseyev Karrde, CSM 7 member, CEO of Noir., one of the best mercenary corporations in EVE, will describe the life of a mercenary with all of its benefits and difficulties. ‎ Q&A discussing PvP techniques, life in nullsec and various Eve Online and Eve University related topics. This is a stream link, downloadable file can be accessed by visiting the Soundcloud site. ‎ After action Q&A from the PWWN vs IVY 2.0 event. ‎ A special guest Q&A about solo and small-gang PvP, conducted by EVE University Professor Turhan Bey, with Kil2, a veteran EVE player and PvP combat pilot. Kil2 is best known for his appearances during past Alliance Tournaments as an expert commentator. Together with his co-host, Kovorix, Kil2 explores solo and small gang PvP on their YouTube channel and podcasts. ‎ Q&A panel with several experienced pirates, dealing with all questions you may have about pirate life in Eve. ‎ Guest lecturers from Privateer Alliance talk about running the Privateers and empire warfare. ‎ Warp disruption bubbles; how they work, how to use them, and how to avoid them. Followed by a general Q&A session covering wormholes, nullsec, and Agony Unleashed. ‎ Q&A panel with Noir Hellscream, member of the Clandestine Vector pirate corporation. ‎ Creative ways of using and marketing so called "junk" exploration blueprint copies. ‎ What is Exploration? Why explore? The types of exploration sites and what to expect, Skills needed and recommended Ships/Equipment. Hi-sec vs. Low-sec exploration, and a Practical. ‎ How to hack into the mainframe in seconds, just like on T.V. ‎ Ghosts sites, what they are, and what goes bump in the night. ‎ A demonstration of using 7 probes to do scanning work. ‎ The fundamentals of static complexes. Covers PVE and PVP. ‎ The fundamentals of wormholes - what a wormhole is, the effects wormholes may have, how to act in a wormhole, why a wormhole is worth exploiting, and more. ‎ How wormholes work and how to use that to your advantage, differences between unknown space and known space, dangers of unknown space, Sleepers, wormhole logistics, how to run a wormhole site, how to not die in wormholes. ‎ Unistas sometimes form fleets to go into wormhole space for fun and profit. These fleets need scouts; people who can find the profit and watch their backs while they go get the profit. But, in the depths of what is effectively Null Security space, wormhole fleets without a scout are at considerable risk of being ambushed. ‎ How to naviagte wormhole space by guest instructor Llauron from AHARM. ‎ A lively panel discussion by guest speakers from several dedicated wormhole corporations, moderated by the UNI's Eikelhaven. ‎ Guest lecture from Klokvarg, of Adhocracy Inc., on how to scan down hostiles in Wspace using probes and Dscan, as well as knowing the mechanics of Pvp inside a wormhole and much more. Sponsored by the Wormhole Club. ‎ Why and how to establish industry in wormholes, including choosing a particular wspace system, living in a wormhole full time, requirements and expectations, POS security, opportunity cost, ISK vs. RISK, logistics. ‎ A guest lecture on capital ships and their uses in wormhole space by Lead Farmers. This class is not just for people wanting to fly capitals, but for anyone interested in high class wormholes (i.e. C5 and C6), as subcapital ships are just as important as the actual capitals. Assumes basic knowledge of wormholes, i.e. safe spots, dscan, wormhole mass and lifetime, operational security and so on. ‎ Round table discussion about wormholes with members of Adhocracy, Future Corps, Lead Farmers and The Red Circle. Covers various aspects of wormholes, and the experiences of people living in them. Full of fun stories, big mistakes and much more. Also covers the recruitment policies of the participating corporations, and their advice on getting into wormholes. ‎ The second round table discussion about wormholes with members of various wormhole corporations. Covers different aspects of wormholes, and the experiences of people living in them. ‎ The round table discussion about wormholes which happened July 30th 2012 at 01:00 EVE time with members of various wormhole corporations. Covers different aspects of wormholes, and the experiences of people living in them. ‎ Round table discussion about wormholes with members of various wormhole corporations including James Arget (from Future Corp). Covers different aspects of wormholes, and the experiences of people living in them. ‎ A question and answer session featuring Treci. ‎ Q&A with Brakoo for industrialists interested in pursuing the manufacture of capital and supercapital ships. ‎ The purpose of this class is to give the fundamentals of Manufacturing, and a more in depth description of Tech 1 Manufacturing itself. This class is intended for those who wish to follow the career path of a Producer. ‎ Everything what you need to know for setting up a POS and start using it. ‎ "Millions – billions – trillions: The guide to making ISK" lecture series, from Sinqlaison, Eve-U benefactor and multi-trillionaire. Part 1 is about (no description given). Part 2 is about managing multiple businesses. - Google Docs slideshow. Part 3 is about managing friends and enemies in your business. - Google Docs slideshow. Part 4 is about (no description given). - Google Docs slideshow. ‎ Information about research and development agents and how to farm datacores from those agents. These acquired datacores can be used in Tech II invention or can be sold on the market. The process allows for a long term and consistent way of making ISK passively. ‎ The basics of Industrialism and Research. ‎ The mechanics of research, production, and manufacturing. Related skills. ‎ Salvaging fundamentals, modules, skills, fittings, and ships - and an overview of ninja salvaging. ‎ An explanation of Salvaging in EVE Online. ‎ In this class, you'll learn how to haul goods in EVE, safely and profitably. ‎ Special Guest Lecturer Dorothy Simson of Red Frog Freight discusses - and leads a Singularity practical - on Jump Freighter mechanics, and how lowsec and nullsec corporations receive their deliveries. ‎ How to mine asteroids, overview of mining ships and essential equipment, mining skills and implants, and basic techniques and advice for starting miners. ‎ Large scale mining ops, gas mining, ice mining, details on Exhumers, mining in lowsec and nullsec. ‎ This lecture about what Hulkageddon is, the history, and techniques to avoid being ganked. A Q&A session will follow where anyone who has participated before or has any questions can speak up. ‎ The basics of trading. Emphasis on inter-regional trade and getting started. Buy and Sell orders. Creating a Trade Alt. Buying Low, selling high. Trade via hauling. Details of the Market system, Market analysis. Recommended Skills. ‎ What contracts are in EVE Online and how to issue contracts. ‎ The rags to riches story of how one capsuleer amassed wealth and security in the harsh world of New Eden. Type ID cell formula: =importxml(concatenate("http://www.evemarketeer.com/api/jita_info/",A2,"/xml");"//result/row/sell_lowest5"
Price lookup cell formula: =importxml(concatenate("http://www.evemarketeer.com/api/jita_info/",F3,"/xml");"//result/row/sell_lowest5"). ‎ An updated guide on Planetary Interaction in EVE Online. Current as of Incarna expansion. ‎ A demonstration of P2 production in EVE Online's Planetary Interaction. ‎ A demonstration of P3 production in EVE Online's Planetary Interaction. ‎ Join us for this interview and Q&A session with Nolen Cadmar - moon miner and reaction guru for the Surely You're Joking alliance - to find out what moon mining is, how it works, and what sort of profit can be made from it. Bring your own questions as well! ‎ Our special Guest Lecturer, Vonqueesha Shenaynay, expert EVE scoundrel and thief, will cover some of the evil things you can't do in the game while you are in the UNI: scamming and integrated black ops. He will be joined by the infamous Akay Quinn of GoonWaffe. If you want to know more about the dark side of EVE, you won't want to miss this special lecture! ‎ Do you like not dying in high sec? Alternately, do you like making other people (and yourself) die in high sec? If so, this class is for you. I talked about mechanics behind suicide ganking, how to prevent yourself from being on the receiving end of a suicide gank, and, last but not least, about how to gank other people successfully. Some of the recordings listed below may already be listed under a different Section of this Class Library, these are included here again for your convenience with a note indicating other categories the recordings are listed under. ‎ Planning to create your own corporation in eve online? Get a heads-up on how to run a successful and strong corporation from someone who took the long and tedious path learning from years of mistakes! ‎ In this class, we will be discussing how to lead others effectively within EVE. Mainly focusing on leading and managing people within the corporate environment. ‎ Aralis, the CEO of Curatores Veritatis Alliance has agreed to give a lecture about running CVA and more importantly, running a NRDS (not red, dont shoot) 0.0 alliance in Eve. While CVA's military might may not be as big as that of other alliances, illustrated by the AAA/UK campaign in Catch and Providence - CVA have undoubtedly turned their 0.0 region into the most intensely used 0.0 region in the game. ‎ Q&A with Seleene (former MC CEO & CCP dev), Dri Kulsane and Mordred, all from [BDCI]. General career advice for lowsec and nullsec; mercenary work; manufacturing; corporation management, security, recruitment; nullsec politics past and present, Tortuga; CCP and possible future developments for Eve. ‎ Covers 0.0 politics and power-blocs, past and present; sovereignty-holders, guests, renters and pets; how a new corp can move to 0.0; things that distinguish 0.0 life from life in Empire; 0.0 solo vs. 0.0 as part of a corp; how to make money in 0.0; recommended skills. Also some discussion of 0.0 warfare, capital/super-capital engagements and the super-capital construction industry. Part of the Uni's sixth birthday celebrations. Note: Recording is missing the first ten minutes or so. ‎ A lecture on the player-history of EVE, the wars and conflicts. ‎ Seleene, formerly CCP Abathur will be talking about game design of Eve. As a player (Seleene) he previously lead the Mercenary Coalition for several years and made it one of the most widely feared/respected mercenary outfits in the game. He worked as a game designer at CCP for several years, most notably he was one of the main game designers on the Apocrypha and Dominion expansions. ‎ Accounts and account management. Dual, triple, quadboxing. Trial accounts. Possible advantages to Alternate accounts. Research Agents. PLEX and paying for accounts. ‎ Several iOS apps are discussed: Neocom, Flysafe, ISKm3, EVE Trader, Nanocom, Mentat, EPIc for EVE, iEVE Status, and others. ‎ How to do a basic fit of a ship for PVP in Pyfa, where to find fitting templates for different ships, and how to import into Pyfa and edit in Pyfa. Slideshow for the first 30ish minutes. ‎ This course is intended to cover the usages of EFT and EVE Mon, two metagaming tools designed for EVE Online. ‎ A measurement of CONCORD response time in 0.5 security space. ‎ How to use an Improved Cloaking Device and a Microwarpdrive to slip through a gatecamp. This page was last modified on 5 January 2019, at 02:53. This page has been accessed 841,021 times.